There are fixed odds betting terminals throughout the UK – and some of them are considered high stakes. Of the most popular is roulette. Ed Miliband has vowed that councils will be given the power to ban these machines from bookmaker shops around the UK if Labor wins the next election. 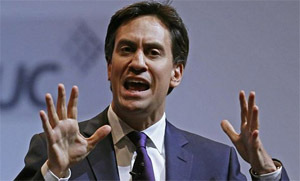 Miliband states that these machines are spreading and attracts anti-social behavior. He also claims that it brings debt and misery to the families who use the machines. It is important to understand the gambling related legislation in the UK now as it currently allows shops to add the machines. They were introduced in 1999 as a way to increase the amount of tax obtained from bookmaker profits. These fixed odd betting terminals fall under the same legislation as fruit machines since the 2005 Gambling Act. There are limitations in place. The max stake is £100 and there are only allowed to be four terminals in a single betting shop. There are more than 33,000 of these terminals around the UK. 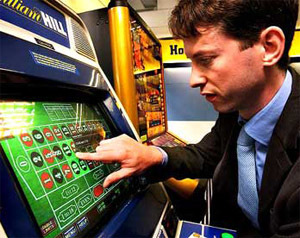 A profit is somewhere in the vicinity of £825 for a single machine, which is estimated by the Gambling Commission. Critics of the Gambling Act say that the machines are addictive and can lead to both poverty and crime. Those in the industry say that there is no evidence of this and that a new conduct code will be established so that players have the ability to control their own stakes. Some action may be taken by the government in order to cut stakes and prizes on the machines to make them less addictive. There is currently a study out to see how harmful the machines are to players. This will be out in the fall of 2014 and then a more informed decision can be made. Many of the old bookies in the UK are being turned into mini casinos. Pay day lenders and pawn shops are now adding the machines as well – and these are sending a wrong message to citizens in the poorer areas. The Association of British Bookmakers has gotten involved and pledged their commitment to help problem gamblers. For years, a sophisticated group of blackjack cheaters managed to defraud casinos across the U.S. using a cunning method of signals, with pit managers everywhere none the wiser. With a network of dealers in their pockets, they were able to amass millions of dollars and teach a revolving roster of fresh new recruits how to beat the house. Loose lips sink ships, and one member of their group eventually made a fatal mistake that brought the whole scam down like a fragile house of cards. All around the world, countries have their own favorites of games. In the United States, it is poker. In France, it is roulette. In London, it is dice. In the different Oriental casinos, there are a variety of other games that are quite popular – including Sic Bo, Mahjong and Pachinko. Whether a player goes to the Sands Macau, the Oriental Mandarin, or any other casino in the Orient, these three games will be offered. Not everyone is privy to how these games are played and there are not always lessons at the casino. 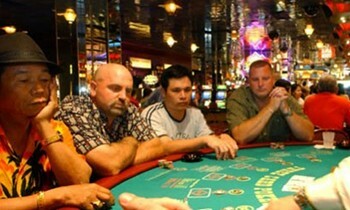 This means that players need to anticipate the games that will be offered and learn them prior to arriving at the casino. Sic Bo is also known as Tai Sai and is based purely on luck. It has to do with guessing the outcome of how three dice land. They are almost always found on a small plate covered by a large glass dome. The dice may stack on top of each other or sprawl out so that each die is visible. Players will have access to a board similar to roulette where they can make their bets based upon the anticipated outcome. Mahjong is a game that many people understand how to play in theory as it is a computer game with tiles. Most people don’t realize it’s an actual casino game, however. It is based upon skill as well as luck to release the needed tiles. There are at most four players and it requires suits to be formed in order to release the tiles from the stack. Pachinko is gaining in popularity outside of Asia as well. They are considered a cross between slots and pinball machines. In Japan and Taiwan, there are more Pachinko games than anywhere else. The game deals with metal balls being injected into the game. Points are accumulated and more balls can be acquired during game play to increase the number of points. The points are then translated into cash earnings or prizes. 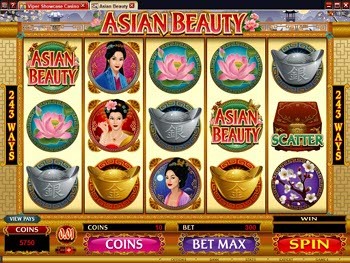 Stepping into an Oriental casino can be extremely exhilarating simply because of the different games that are around. While they still have roulette, craps and poker, the other games can be dramatically different from what people are used to gambling at in other parts of the world. To be prepared, it’s important to understand what the popular games are and how to play them in order to change up the gambling a little bit.